Singapore is a city bubbling with life and activity; it has everything that you will need to relax. The bars and clubs have the drinks and champagne offered contemporaneously with food, drinkers will not go home hungry. 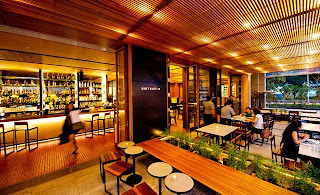 The restaurant bars in Singapore also have the spacious floors where a company or organisation can hold corporate events. Hiring the hotels is not expensive but the price is mostly determined by the location of the restaurant bar and the space that you will need. Below are some of the best places where you can enjoy drinks amidst satisfying meals. 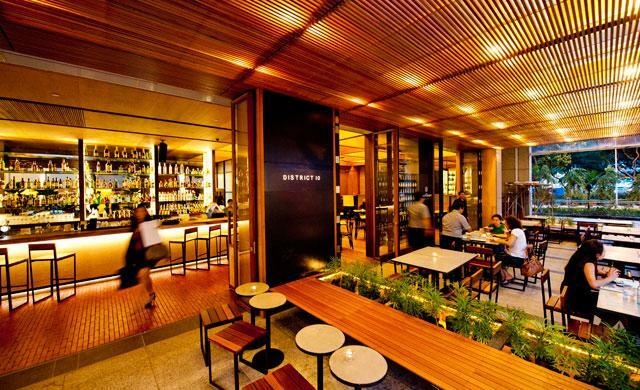 When it comes to corporate bars, Boulevard has no doubt become corporatists favourite. With proper ambience & arrangements at the venue, it precisely welcome the corporate to hold meetings, organize events or spend a good time with clients while discussing over the business proposals. Anar is the de luxe restaurant for those who want to get away from crowded rooms for privacy. Expensive chandeliers supported by silver dome, complex carved chairs, intricately cutlery and soft Italian made tiles. There are diverse delicacies, the meals of the Arab world and dishes of the West. The restaurant has spacious conference rooms where meetings can be held. 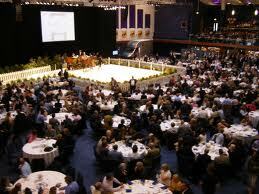 To hold the corporate events you should consult the manager for arrangements to be made. Serenity Spanish restaurant and bar is an oasis of tranquillity and calm. The restaurant has mingled the local and Spanish styles, the cuisine, appearance is all Spanish. In addition, the sea side tiled paths for walks and bluish decorations add to the charming spell in the place. It is an excellent choice for corporate and business events, weddings, brand launching or convocations. The Moomba Restaurant is outstanding and has even won awards for its exemplary services. It is located in a warm and breezy tall building, with spacious dining space. The cuisine is Australian based with ample rooms where you and company colleagues can hold meetings and seminars. The restaurant has beers, champagne, wines and spirits manufactured across the planet. In addition, it is quiet and pacified place to get away from the bubbling activities of the city. Halia Restaurant is located in Singapore’s botanic field; amidst palm trees, interwoven in ginger flowers and canopy of tall trees. The restaurant extended the space available in 2008 to meet the growing demand for the holding of events such as parties and weddings. It is also suitable for firm events such as product launching. In addition it has ample and sufficient parking space to hold numerous cars. Singapore has an array of restaurants and bars that are there to offer drinks, meals and also provision of places to hold events. They have been used by major firms for their events and activities. To identify the suitable place consider the number of people and the need for meals. Where do you chill out in Singapore?